As I sit here relaxing by the pool at the end of a 11 mile bike ride on the canal tow-path here in New Hope, Pennsylvania at the Pineapple Hill B&B Inn, I figured lets give beer #258 a taste. 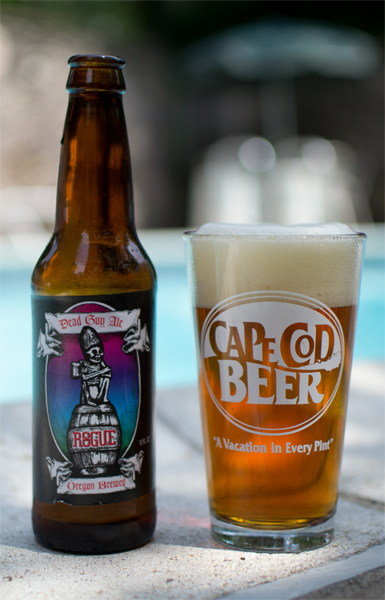 That beer is a classic, at least to me, and is Dead Guy Ale by Rogue Ales from Newport, Oregon. I have had this beer many, many times over the years. This Maibock or Hells Bock has an ABV of 6.50%. A Maibock or Helles Bock is a German beer typically brewed in the springtime and typically has a bigger hop presence. I love the color of this beer, a clear amber very, much like the color of honey. It had a huge off-white head. The nose was pleasant with sweet caramel malts, bread, and a nice spicy floral hop scent. Those caramel malts are the backbone here in the taste department. Towards the end, the hops make themselves known with an orange rind taste and bitterness. It had a nice medium body with a moderate amount of carbonation. Highly drinkable…this would make a great session beer. This was a delicious brew that I still enjoy today. I could see this being a good gateway beer to ween someone off of macro beer and into the craft beer world. I only wish I had a six pack of this right now…with a pizza…poolside…perfect! I’m done…the blog is over…I was told by my doctor today that if I don’t quit drinking beer I will turn in a Boston Red Sox fan. Ain’t happening. I would rather drink Bud Light Lime the rest of life…yum! I’m just kidding ya, I could hear the collective gasps of frustration from the thousands upon thousands of my blog readers would be so lost without my daily pearls of wisdom when it comes to hops, barley, water and yeast. Hmm…OK…maybe not so why don’t I just wish everyone a happy April Fools Day and get on with the drinking. 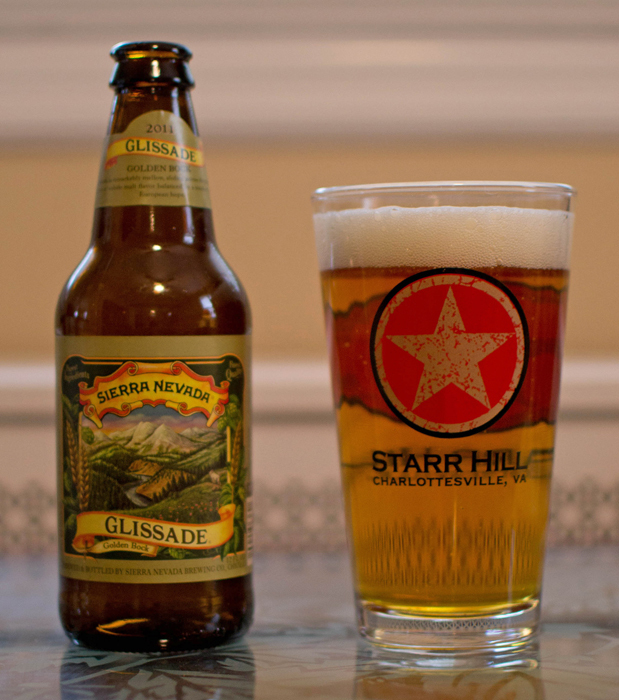 Beer #124 is Glissade by Sierra Nevada Brewing Company. Believe it or not (this is no April Fools joke), I have never had anything by Sierra Nevada. Sounds impossible but it is true. Sierra Nevada brews this Mailbock/Helles Bock with an ABV of 6.4% in California. Interesting to note that Mailbocks are usually served in spring…and since spring has sprung, although you couldn’t tell that by the weather we have had of late, what a good time to try this brew. Glissade poured a clear golden yellow with quite a lovely white head. This was another beer with quite the weak nose. What I did get was malts and a spicy peppery aroma. It had a sweet taste up front along with some grains and something sort of fruity. The spiciness came near the end of the sip and it finished off a bit bitter. It had a body just south of medium but not quite light. There was a lot of carbonation here also. For me it was quite drinkable. This wasn’t too shabby. I kind of liked this, the bitterness, the spiciness, the overall mouthfeel. It didn’t really remind me of spring though but neither has our spring so far.